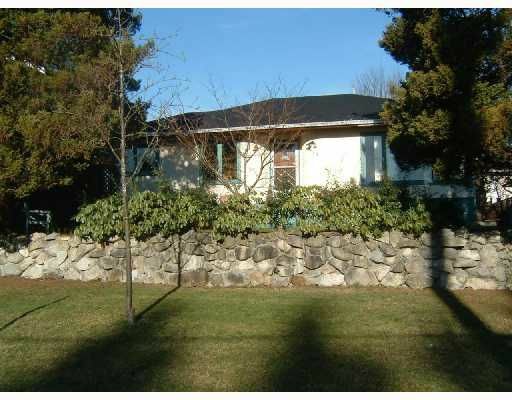 Charming Central Lonsdale bungalow on a large, sunny, flat lot in a great location close to Ridgeway Elementary School. Main floor features hardwood floors, coved ceilings, large living/dining with a cozy woodburning f/p, reno'd kitchen & new bathroom w/Jacuzzi bathtub. Downstairs are 2 more bedrooms, large rec room, renovated bathroom & large laundry (simple conversion back to a kitchen - used to be suited) + outside entrance. English Garden is lovely in bloom - apple tree, grape vine, lavender etc. - fully fenced yard is bordered in rear by 8th st. w/newly renovated garage (currently workshop w/phone & power) Also woodshed & garden shed on property. Home has a warm, friendly feel, character, lots of storage & new HW tank!